Kingshill Church School is committed to safeguarding and fully recognises the responsibilities and the duty placed upon it to have arrangements to safeguard and promote the welfare of all students at the School.The school is secure during the school day, so all visitors are asked to report to the main entrance. Please be mindful that for everybody’s safety, identification procedures will be carried out; a copy of which are displayed by the office for your information. The designated Safeguarding Leads for our school are Mrs Jan Thomson and Mrs Julia Smith (who is also the designated Child Protection Officer). Educate against hate – This website gives parents, teachers and school leaders practical advice on protecting children from extremism and radicalisation. At Childnet our Education Officers go into schools each day to deliver online safety Education Sessions to pupils, parents and teachers. Recently in these Education Sessions we have been noticing an increasing number of young people talking about the game ‘Fortnite’. Child safety on Fortnite: parent factsheet. The website provides a range of information for professionals, parents, children and young people in relation to safeguarding children in North Somerset. This advice is for parents and carers about cyberbullying. It provides advice and information about how they can protect their child from cyberbullying and how to tackle it if it happens. The NSPCC guide uses the rules of PANTS to teach children that their body belongs to them and them alone. You can find out more and download the free resources at nspcc.org.uk/pants. If you’d like to know more about the NSPCC’s work, or take a look at the wide range of information and advice which is available for parents and carers, please visit their website nspcc.org.uk/preventing-abuse/keeping-children-safe. Our Roblox Parent’s Guide explains how serious we are about play, and the steps we take to ensure your kid’s privacy and safety. Digital devices at home deliver media, entertainment and internet access for the whole family. They also provide new opportunities for creativity and learning. How can parents and carers help children get off to a good start using digital devices? This guide provides some tips and checklists to help you. 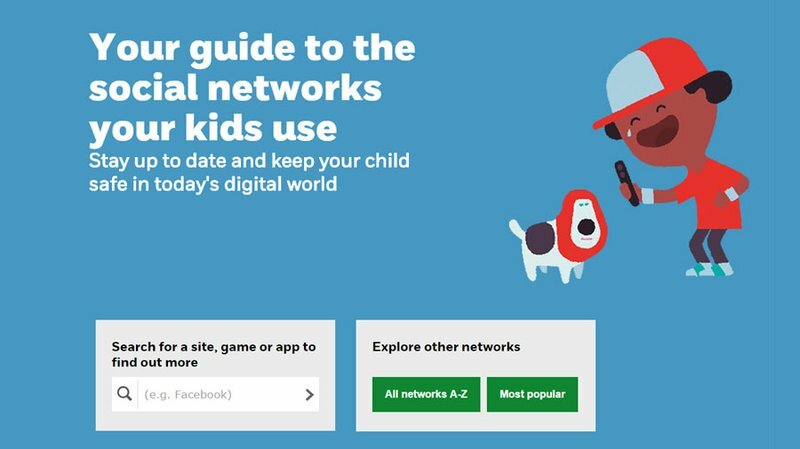 NSPCC – Share Aware Campaign – The new NSPCC campaign was developed due to their own research finding that parents’ quite often feel confused by the internet – out of their depth, and out of control. Share Aware is for parents of children aged 8-12 and is designed to help to reassure and give parents everything they need to keep their children safe. The design is straightforward: No-nonsense advice that will help to untangle the web, showing parents how they can be just as great a parent online as they are the rest of the time.